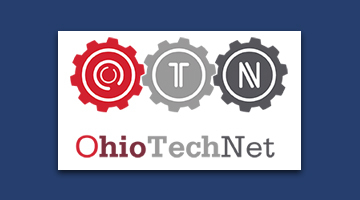 The Ohio Technical Skills Innovation Network received a $15 Million Round Four TAACCCT grant award to invest in the design and delivery of manufacturing education, providing student supportive services, promoting collaboration among member colleges and other partners for the purposes of increasing the grant’s impact, and working more closely with industry partners. The OTN colleges worked to improve programs and pathways in five programmatic areas: Welding; CNC/Machining; Industrial Maintenance; Digital Fabrication/Industrial Automation; and Occupational Safety. Create mechanisms for statewide collaboration among consortium partners and economic and workforce development allies that help advance Ohio’s innovation economy. Transform instructional design and delivery systems for customization to individual student needs and rapid response to labor market demand. Expand best practices that redesign student intake, success, and placement.